Dr.Na, a graduate of Color Lab. has published an article entitled as, “Smartphone use at night affects melatonin secretion, body temperature, and heart rate” in the Korean Journal of Society for Emotion and Sensibility[감성과학]. In the article, a change of display quality of a smartphone, such as a decrease of both luminance and blue ratio helped users experience more regular circadian rhythm. The study is particularly meaningful because it was a collaborative research work with a research team led by Professor Chulhee Choi in Department of Bio & Brain Engineering. The experiment began as the last part of the Dr.Na’s Ph.D. study but has expanded after her graduation. 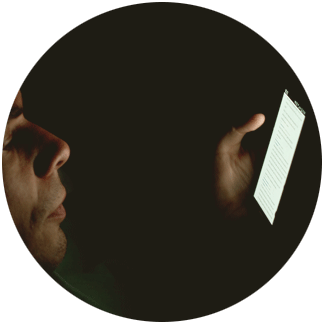 In the present study, we investigated the physiological effect of smartphone use at night when the display luminance and white balance were differently articulated. Two levels of luminance and two types of white balance were employed, and subsequently, four types of the display were used. Subjects were instructed to use smartphones between 23:00 to 01:00 twice a week for two weeks, and for each trial, subjects were given one of the four display types. Melatonin concentration in the saliva, body temperature, and heart rate were measured before and after each experiment. The experimental result showed that the low luminance display supported melatonin secretion and thermoregulation compared to the high luminance display. With regard to the white balance, higher melatonin level was observed when using the display that filtered blue light. The low luminance display together with yellowish tint best supported restful sleep at night in terms of every physiological response. This study collectively demonstrates that bright and blue light emitted from smartphone displays adversely affect melatonin secretion, body temperature, and heart rate, and therefore, supports the use of a display with low luminance or a display that filters blue light for a restful sleep at night.